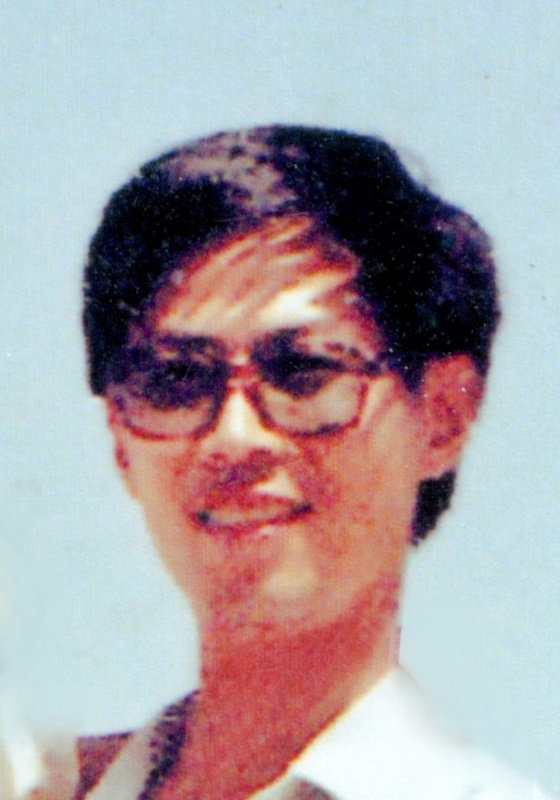 In the early morning of June 4, 1989, Luan Yiwei was shot in the waist at the intersection of Chang’an Avenue and Nanchizi Street. He died just a day short of his 35th birthday. His wife, Chen Mei (陈梅), born in 1956, graduated from Beijing International Studies University and worked as an English teacher at the Inner-Mongolia First Machine Group Company Limited No. 1 Middle School. She is now retired. Their daughter Luan Yue’ou (栾玥瓯) was born in May 1985 and is now in the United States. 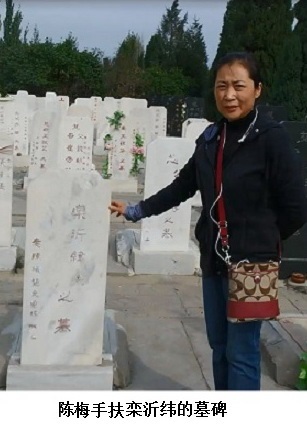 The unexpected tragedy of her husband’s death on June 4, 1989 almost crushed Chen Mei. Not only was she suffering the loss of her husband, she also had to withstand the pressures of life and of the outside world. Many times, she lost the courage to continue living. But at the sight of her young daughter and aged mother, her fragile heart became strong. No matter what, she had to persevere—her youthful self could bear the pressures of life. At the time, her salary was very low. In order to support her daughter’s study and maintain a normal life, she abandoned her original job and opened an English language training class. To save on expenses, Chen taught all the students, who ranged from primary to secondary, by herself. She taught every day, from morning to night. Although her salary was somewhat higher than before, her health deteriorated due to the heavy workload, long-term exhaustion, and lack of a regular schedule. Regardless, she persisted. Chen’s plain and simple wish was to let her fatherless daughter live a better life. She worked hard to honor the memory of her deceased husband. 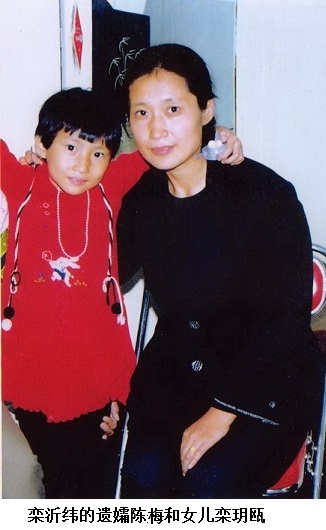 Her daughter grew up, and, with the help of good-hearted people, she went to the United States. Now, Chen Mei’s workload has gradually decreased as it was truly hard for her body to handle. If her husband were alive, would her life be this difficult? Absolutely not. After her husband’s death, Chen Mei wore black clothing with a white flower in her hair for three whole years to mourn the death of her husband and compatriots. The pressures of life prevented her from attending to her own happiness and to this day she is still single. Luan Yiwei is buried in a public cemetery in the suburbs of Baotou. On his grave is carved these lines: “Forever Protecting Each Other, Forever in Each Other’s Company,” which represent his wife’s endless love for him. We stood before Luan’s grave and offered comforts to his soul in heaven on behalf of the Tiananmen Mothers: his blood did not spill in vain; injustice will be righted; there’s no need to worry about his wife and daughter; and he should rest in peace. Through the kindness of Mr. Tao Ye (陶业) and with the help of other friends, their daughter Luan Yue’ou went to the United States. In early 2014, good news arrived from the United States: Valentine’s Day, February 14, coincided with the Chinese Lantern Festival in the lunar calendar, and Yue’ou walked down the aisle that day. In the wedding, Mr. Tao Ye, acting as her father, gave her away to her American groom. At this time, the new bride spoke of her happiness. 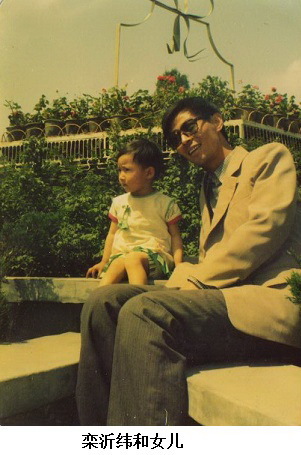 Although she had lost her biological father and his paternal love at age four, “Father Tao” had been like a father to her, and she felt incomparably gratified and moved. The child had finally ended her itinerant lifestyle, and settled down in the United States. When this good news reached the June Fourth victims’ families, we were all moved and could not stop our tears from flowing. A child from a victim’s family finally had a home in a faraway place and different country. Over these past 25 years, the strength and stamina of this wife have earned our admiration. Our heart aches for her. 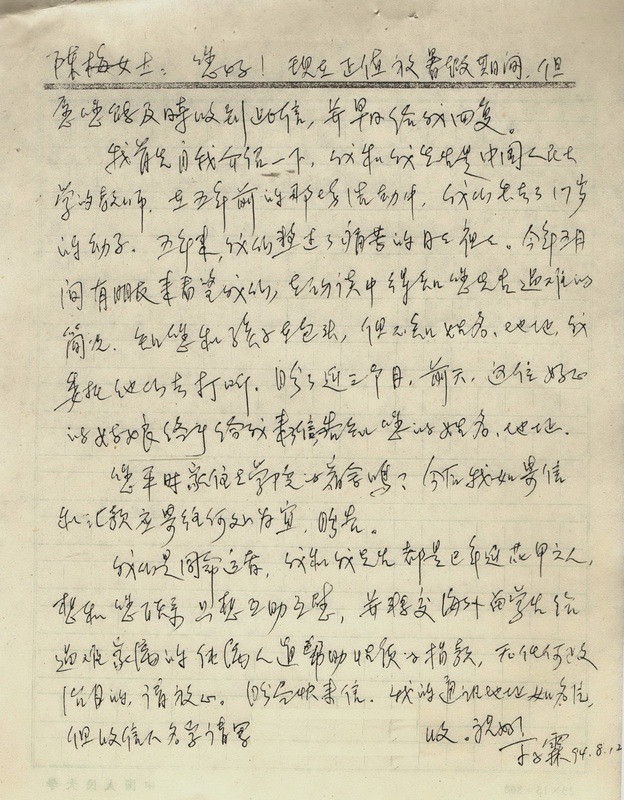 A 1994 letter from Ding Zilin on behalf of the Tiananmen Mothers to Chen Mei to establish contact. Tao Ye is a key member of the Independent Federation of Chinese Students and Scholars (IFCSS), founded on the campus University of Illinois at Chicago, on August 1, 1989, with more than 1,000 Chinese student representatives from more than 200 major U.S. universities in the United States, as a response to the June Fourth government crackdown on the 1989 Democracy Movement. Luan Yiwei (栾沂纬), born on June 5, 1954, in Shangdong Province. He graduated from University of Electronic Science and Technology of China, and worked as an engineer at the Baotou Iron and Steel Design Institute in Inner Mongolia. At the time of his death, he was doing advanced studies at the Beijing Post and Telecommunications University.